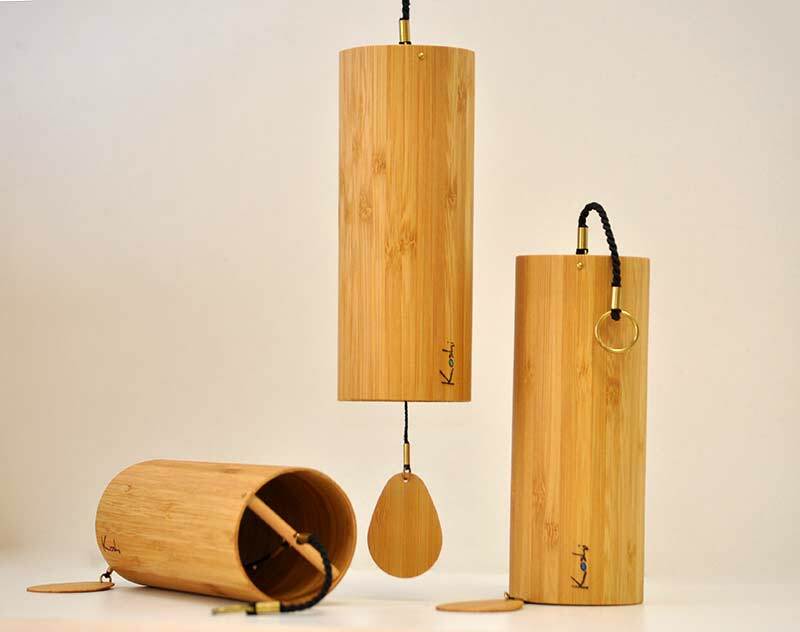 Koshi chimes are precision tuned wind chimes and come in four unique melodies. Each has a specific magic timbre and can be played harmoniously with all others. Woodstock are a well known and respected brand of traditional western style wind chimes which have been in production for over 30 years. Japanese Wind Chimes or ‘Furin’ are a Japanese cultural icon. The distinctive quality of their sound distinguishes them from traditional western wind chimes. The Furin having a single, resonant sound that has been described as ‘clear, cool and otherworldly’. Zaphir Chimes are high quality, precisely tuned wind chimes and available in five different tunings and over 20 beautiful colours. These bamboo wind chimes are hand crafted in a small rural area of Bali specializing in bamboo crafts. They are well known for their quality and originality. They have specifically sweet melodies and the crafts people work under fair and happy working conditions. Gongs belong to the oldest and most important musical instruments of South East Asia. Their origins may be traced back to the second millennium B.C., but it is assumed that the gong is much older. These Copper Wind Chimes inspired by ancient Chinese bells, provide a soft, restful tone..
Glass Wind Chimes or ‘Edo Furin’ are hand crafted in Japan. One of a kind pieces of art blown and hand painted from the inside by master craftsmen. The clear sound that Imari bells produce has been recognized nationally by being selected as one of the 100 national sounds of Japan. Each porcelain bell is hand painted in traditional Imari style by skilled crafts people. Nousaku (Japan) manufactures wind bells through a collaboration with designers and using traditional techniques acquired from producing Buddhist altar fittings. These wind bells offer the finesse of material beauty and the clear ringing sound that brass produces. Paiste Gongs, individually hand made in Germany since 1906, are among the ‘highest quality gongs available in the world today.’ Made from nickel silver (a material with wide-ranging sound potency) they are precisely crafted and tuned and are used in different forms of music, sound therapy, in yoga studios and for meditation. Wind harps have the distinction of being the only strung instrument whose music is composed entirely of harmonic tones, imbuing them with a vibrant resonance not heard in ordinary music. They are also the only strung instrument played solely by the wind. These two characteristics combine to create a music that for many people is especially alluring. These beautiful chimes create a sense of tranquility and harmony, soothing the mind and spirit with their gentle melodic sounds. We discovered these chimes while traveling overseas and have brought them to Australia so that you can share in the beautiful and unique qualities of these hand crafted carillons. We invite you to peruse the Wind Chimes Australia web site to learn more about our wind chimes for sale. Throughout the site you can click on photos to view a larger image. Perfect gifts for loved ones or for oneself, wind chimes bring joy to both the giver and the recipient. Anyone receiving the gift of a chime will delight in the quality and the melodious sound. You may purchase your chimes via our web site using PayPal, credit or debit card, or alternatively contact us directly to pay via bank transfer or over the phone. As time goes by we will be adding to our collection of Wind Chimes from around the world so please check back from time to time to see what's new! Handy Tip: If you don't have a garden or place to hang your wind chimes outside, you can place them by an open window, air conditioner or fan! New: Hand hammered & precisely tuned Paiste Gongs from Germany. Why choose Wind Chimes Australia? Read our Customer Comments to find out why! High quality wind chimes, fast and friendly service with 100% money back guarantee!